OK. 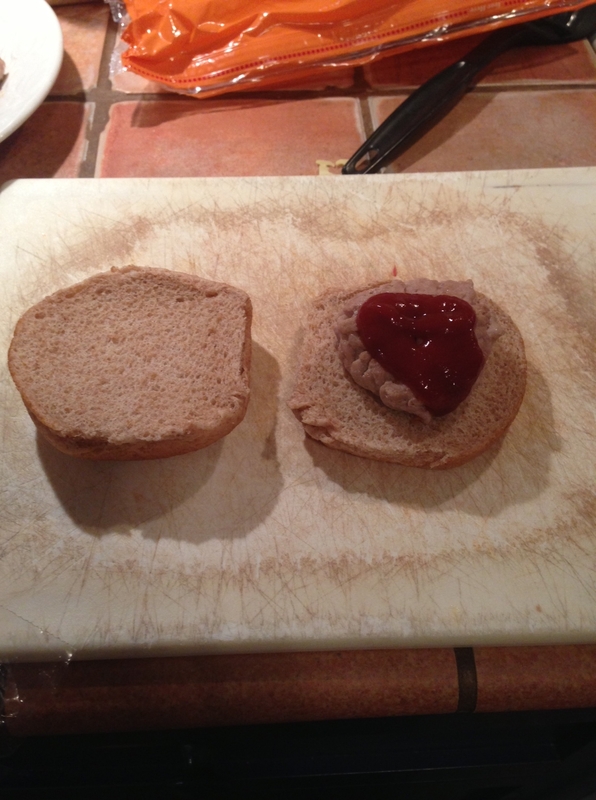 So technically these are turkey burgers, not beef. Why so many? I’m making them for school lunches of course. Spring break just ended for us and we’re in the home stretch now, but there are still 10 or so weeks of school left–that’s still 50 lunches times 3 kids to pack. Whew. One of our current faves is a burger for lunch. 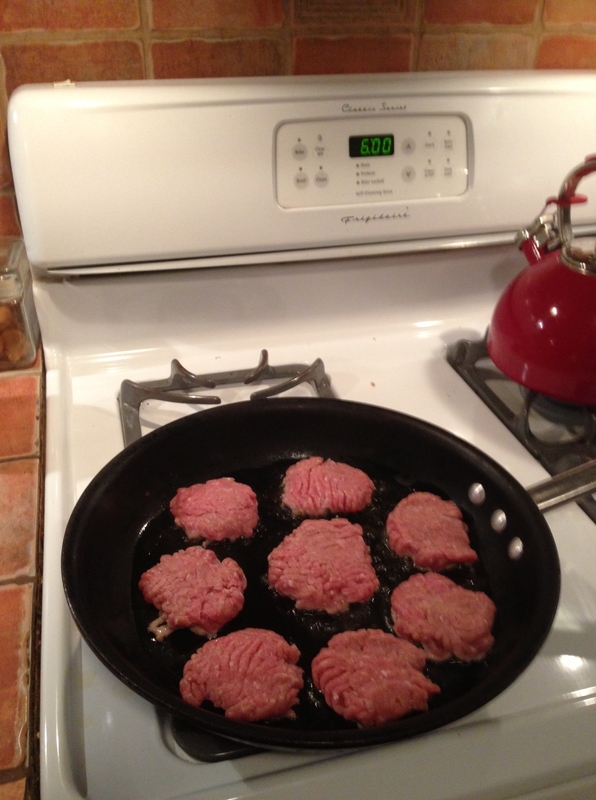 Pictured above you see 8 patties (there are more that didn’t fit on the pan) that I made from a pound of ground turkey. Little olive oil in the pan, dash of garlic salt on top and wah-lah: ya’ got yerself some burgers. Once they’ve cooled, I can put the patties in the freezer (buns separate) and then pull them out for a fridge-defrost the night before. 20 minutes at the stove top for a dozen lunches = good return on my time investment! Out of a one pound package of meat, I can make 12-14 patties. Slap these little honeys on a whole wheat bun with some ketchup and what do you know: Lunch! 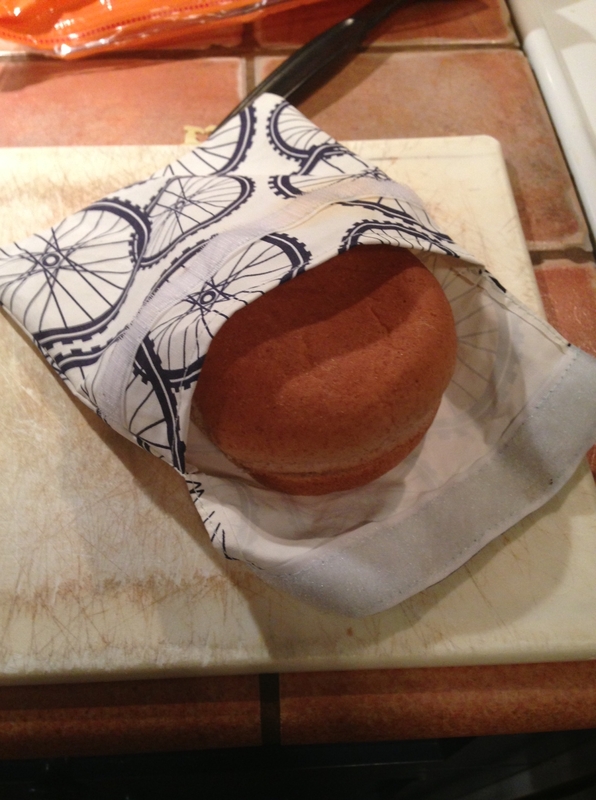 Here you see me placing my model burger in a reusable food pouch. The pouch cost me about eight bucks–but they clean up in the dishwasher, and we’ve been using them all year long and they still look great. My middle child will eat one of these a week. The other two would eat it every day if I packed it up. Throw in some veggies, fruit and a little cookie–now we’re talkin’! Does the bun get soggy from the condiments? Not enough to bug my kiddos. You could see about a small container with a dipping style situation though if it’s a problem. Sometimes when Mike’s been a very good boy, I send him to work with a burger too.